There's kindness in every card! Kindness Cards are a great way to help spread kindness amongst your friends, family, co-workers and people you've just met. They're only $5 each! All prices include processing and shipping fees, only taxes are additional. 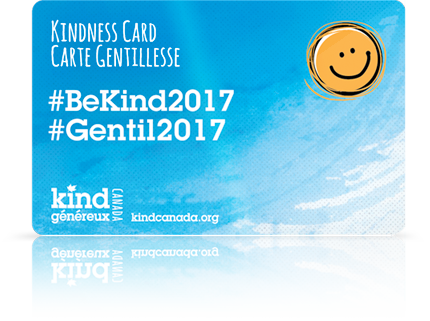 Get your Kindness Card today! 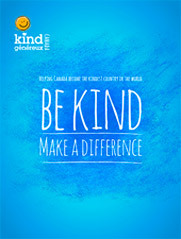 Interested in buying a larger quantity of Kindness Cards? Please email Kind Canada and we'd be happy to help.